Lark: (noun) a merry, carefree adventure; frolic; escapade. This was the inspiration for this shop on Wall St downtown. Mimicking the carefree adventure that is Bend Oregon, Lark Mountain Modern is a celebration of nature and mountain living expressed through a modern, elevated lens. It is also a carefree adventure into the marriage of style and purpose. Lark Mountain Modern offers well-crafted objects and décor items that combine stellar design with natural materials and functionality. It isn’t about abundance…it is about the joy of the journey and finding one element that speaks to you and serves a purpose, whether for gift-giving or decoration. 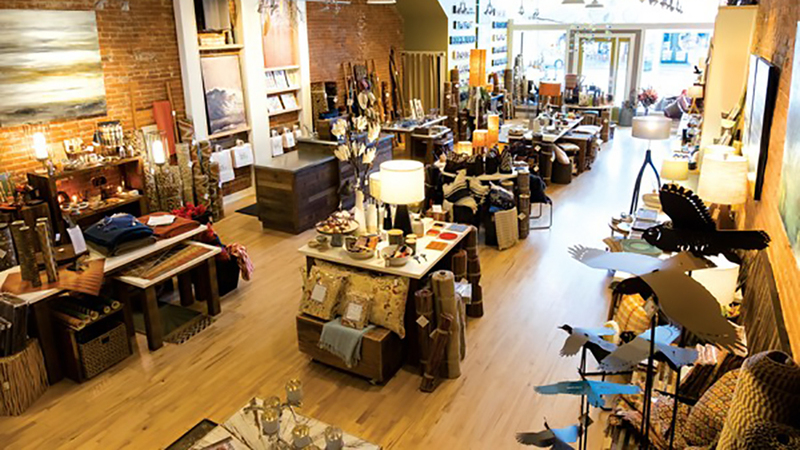 Lark, located right next to the iconic Tower Theater, is a new sister store to the popular Lone Crow Bungalow shop found just down the street. They share an emphasis on the melding of craft and function, one with a nod toward the 1920s Art and Crafts Era and the other toward new rustic modern style. Both stock American made goods as much as possible and hand-select only the most interesting, worthy items for your consideration.